The Reebok JJ 1 releases in July; get a full look here. Reebok doesn't spend much time making signature sneakers these days. The brand has, for the most part, veered away from the common industry practice of inking deals with superstars and giving them their own footwear lines to focus instead on the everyday athlete. The exception to that rule is J.J. Watt, the Houston Texans defensive end who has by this point in his career grown accustomed to being exceptional. 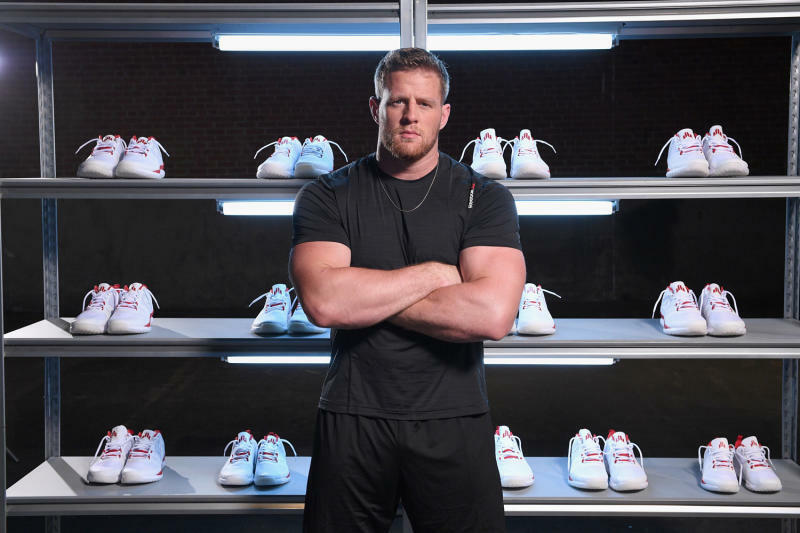 Today, in New York City, Reebok and the three-time NFL Defensive Player of the Year unveiled their JJ 1 trainer, a model designed for the sort of high-intensity workouts he's known for. Watt fans saw this one coming: the man himself teased the shoe on social media last week. Other than that sneak preview though, he's kept quiet during the yearlong process of the shoe's design. This wasn't exactly easy for an athlete who puts a good chunk of his life on display for his millions of followers on Twitter, Instagram, Facebook, and Snapchat. "It was very hard throughout the whole process," Watt said on the subject of not leaking the shoes. "I go to my brothers for feedback, I go to some of my very close friends for feedback, and I go to some of my teammates for feedback." Watt said that his Texans teammates first saw the shoes a couple weeks back, and that he's working on getting pairs for the whole squad now that they're out. Reebok's been laser-focused on training footwear for a couple of years now. It backed out of basketball and moved in on CrossFit, allowing the brand to become more specialized in its design efforts. Their signing of Watt fits into this strategy: his tire-flipping, weightlifting workouts feeling like a natural extension of where the brand is headed. The guy even announced his Reebok deal with a record-breaking box jump. The brand sees Watt as a key piece in efforts to cater to the fitness needs of the everyday athlete. "We partnered with J.J. because he represents everything we believe here at Reebok; he is the true embodiment of Be More Human," said David Oksman, head of U.S. marketing for Reebok. "He is constantly pushing his limits and overcoming obstacles to become the best version of himself through training and commitment." 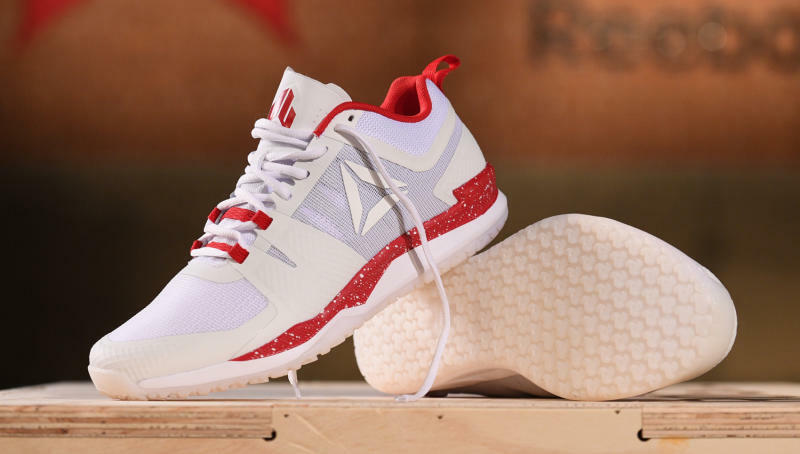 The Reebok JJ 1, releasing on July 15 for $100, uses Liquid Foam cushioning to ensure quick reaction times, FlexCage supports for lock-down, and multi-directional traction on the outsole.